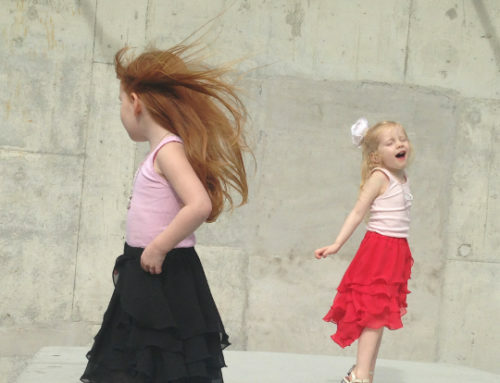 Unleashing the inner fashion beast of a three year old is a brave move. They pick, kick and squabble. 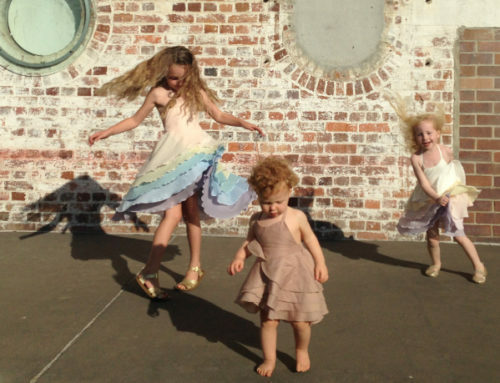 Give in and you may just end up with them in a ball gown with gumboots… and checkmate mamma. And when one becomes two, three…? Styling siblings: twins are obvious, but when there are years between your children, which road do you take? Do you pick out matching little ensembles in applicable sizes and stage a “they could be twins” moment when the mood strikes? Do you encourage their individual taste, even if it resembles a dogs breakfast? Do you try to “help” them look different – from each other, at least? And if so, do you do it for them (to encourage their sense of expression and individuality etc) or for yourself (whether it’s just to enjoy looking at them yourself or to enjoy watching sweet grannies in the supermarket enjoy looking at them)? To phrase it at it’s lightest, with two girls, twinning is still a choice in our family. My choice. Eek. I do feel the twinge of guilt when I cajole them into the tiny outfits they’d never have chosen on their own. Somedays I even pull it off. I see the instagram feeds of kids whose yummy mummies post their babes donning several outfits a day, whose gorgeous curls have been combed, who sit oh so placidly in perfect poses for their irritatingly and enviably serene mothers (I am not one of these perfect parents, word to the wise). I watch my own two tiny humans and see definite differences between them – and yet in so many ways they are unmistakably sisters. I always wonder whether the similarities between siblings is due to an actual affinity, a random (yet incredibly common) fluke, or something that we inadvertently foster in our kids? 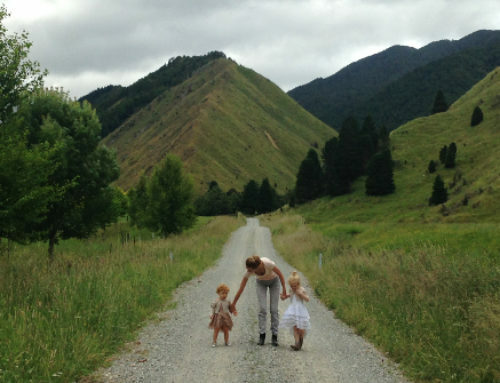 The latter possibility is cute but kind of disturbing – what if we, as loving, devoted mothers aren’t teaching our children how to find the things their hearts yearn for – but picking it for them? This is a work in progress for us all I guess, constantly questioning ourselves, our motives, the outcomes we reach or fail to. We want to be the best parents we can be. I’m utterly sure of that. 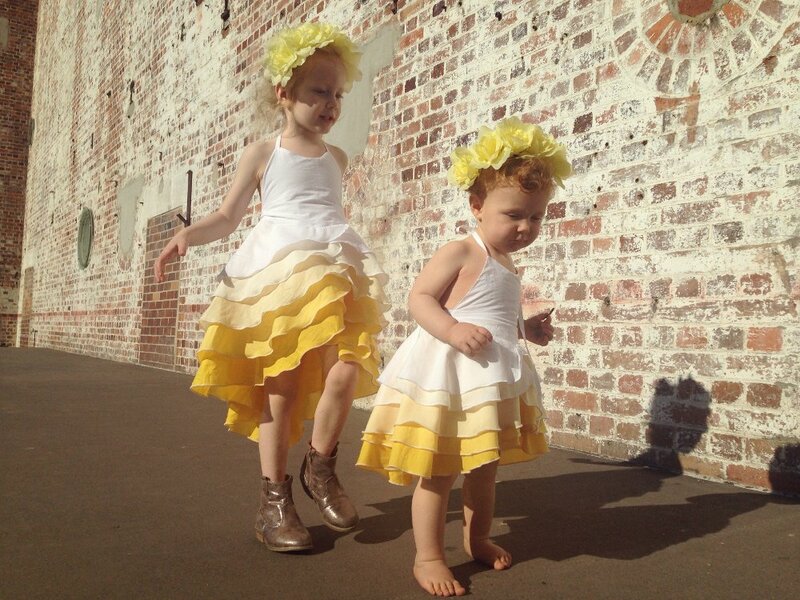 We want to nurture our children like little flowers to grow into the very best version of themselves. We just want it to be something pretty. Something defiantly hopeful, for all our sakes. Hmm. Well, food for thought.